Pa’lante in the Park! Dawson Park in Portland! 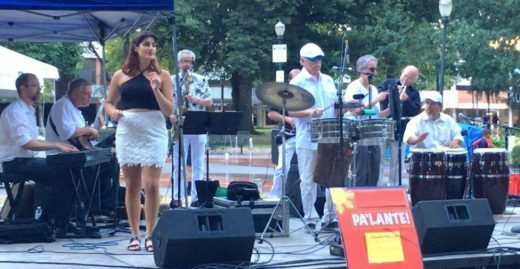 Hundreds danced and brought picnics to enjoy Pa’lante — Sizzling Salsa, Afro-Cuban and Latin jazz — the whole 10-piece band, featuring La Cubana, Isa Perez, on lead vocals and Cuban master drummer, Miguel Bernal. Many thanks! to the Dawson Park concert committee, Jen Bernard at House of Cards Music, and Portland Parks and Recreation for the opportunity to play in Summer Free For All in Portland Parks. Pa’lante at Hillsboro Tuesday Marketplace! More than 300 lively people turned out for the New Year’s Eve Dance Party benefit at the Red Rose Ballroom. A big thank you to our sponsors and donors. Laurie Sonnenfeld, Oregon Principal Broker with M Realty created, sponsored and produced the event to celebrate her 27 years in real estate and her 30 years as a music programmer on KBOO 90.7 fm Community Radio. Thanks to Widmer Brothers for beer donations and to Columbia Distributing for helping out with beer and wine. La Calaca Comelona (located at SE 23rd and Belmont) provided the excellent festive tamale dinners. Thanks to KBOO 90.7 FM for being a media cosponsor, along with SE Examiner newspaper and All Things Real Estate newspaper. Thanks to our sweet, intrepid and faithful volunteers who held down the fort– Charla Chamberlain (day job– staff at Sisters of the Road), Dr. Gary Dreger (Naturopath and Acupuncturist extraordinaire at Natural Health Works), Leila Piazza, Debra, Cheryl, Julie and Gabe. 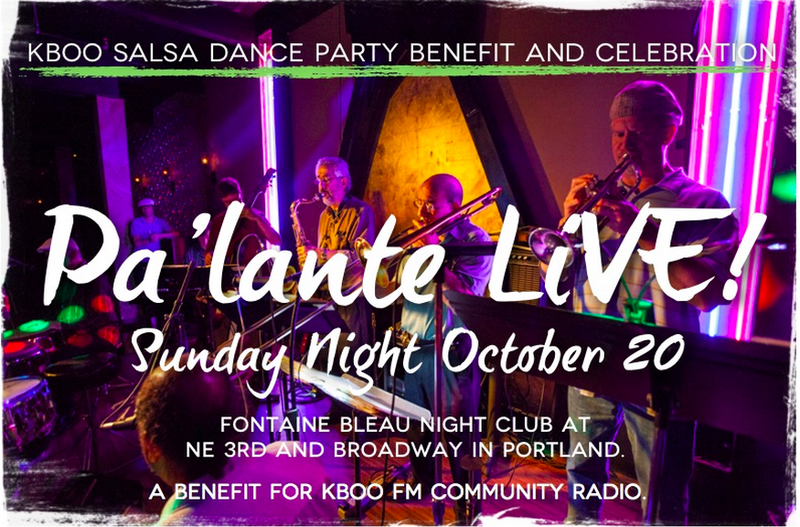 KBOO SALSA DANCE PARTY BENEFIT AND CELEBRATION with PA’LANTE! WHEN: Sunday night October 20, from 6:30 to 10 pm. Dance lesson at 6:30 pm. $10 cover for this special event. WHO: YOU and Pa’lante Pdx, Nick Gefroh’s spicy-hot, salsa and latin jazz dance band, featuring lead vocals by Isa Perez, from Havana, Cuba.